World Land Trust (WLT) has launched a Twitter campaign to boost support for Steve Backshall’s fundraising effort. 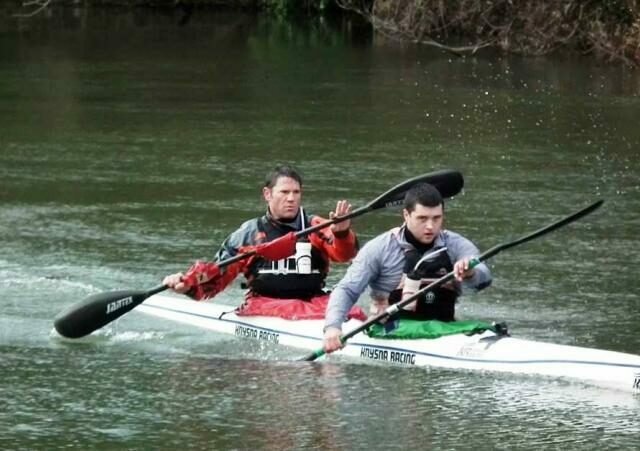 On 3 April 2015 Steve will be embarking on one of the toughest events in the UK endurance calendar, the Devizes to Westminster (DW) kayak race. He is carrying out the challenge with fellow paddler George Barnicoat to raise funds to protect threatened tropical forests and rare species in Colombia. The pair are pictured on the water, above. The idea behind the campaign is to publicise Steve’s fundraising effort by flooding Twitter with messages of encouragement, using the hashtag #kayak4forests. “Steve’s entry in the DW race has the potential to raise thousands of pounds for World Land Trust’s conservation projects and we are spreading the word far and wide,” said Dan Bradbury, WLT’s Head of Digital Communication, who is coordinating the Twitter campaign. 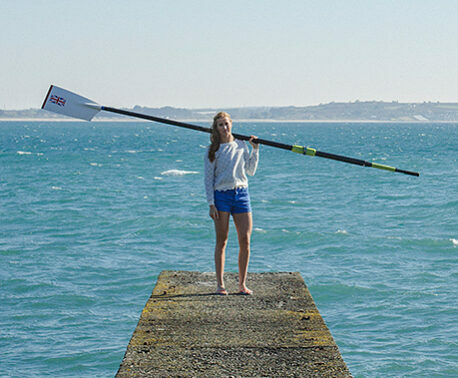 WLT is inviting people to tweet their messages of support for Steve with an image of themselves holding a kayak paddle. Conservation volunteer Gerald Burns was one of the first people to send an image and message. Gerald’s photo shows him in his kayak on the New Reach, which flows past Halesworth Town Park near WLT’s office. If you have an image of yourself either on the water or off it, in a canoe, kayak or rowing boat, ideally holding a paddle, please tweet it with your message, using the hashtag #kayak4forests. If you have a relevant image but no Twitter account, please email the image and message to fundraising@worldlandtrust.org and WLT will tweet them for you. So far Steve has attracted donations of more £2,500 on his online fundraising page. Thanks to the generosity of a WLT Council member, this figure will be doubled, which means that he has already raised more than £5,000 for WLT’s conservation projects in Colombia. And, with several more weeks to go before race day, there is scope for the overall total to be much higher.